Being situated in the Hotel Ista, Zaman offers a wide range of North Indian dishes. It is a good place to arrange business meetings. Fish tikka, Galouti Kebabs, Haldi mirch ka Jhinga are some special items along with BIryani, Kadai Lobster, Squid Pepper Masala. Vegetarians can try Paneer paseenda, Makai palak. And on Tuesdays and Saturdays they play nice sufi music which is an added attraction. This restaurant is carrying a old heritage of Lucknow cuisine where the taste of Anglo Cuisine has mixed at the time of independence. They have kept the names of the items very unusual like Forest officer’s Pullaow, Peter Mundy’s Brinjal Bharta, 365 is the name of Caramel Custard. And every one should try Kakori kebab. Their main attraction is the culinary styles and recipes of Northwest Pakistan and eastern Afganisthan. Many nutty flavours and onion-tomato based curries like murgh salan and nazakat ki gucchi is very popular dish. Raan Baluchi is their special in the menu. Location : ITC Windsor, 25, Golf Course Rd. Paperwali Machchi – Fish fillets drizzled with freshly ground peppercorns enveloped in parchment paper and this is totally grilled not oil fried. Murg khatta piyaz with pickle onion is a heavenly combo. Here you can also do your own grills on stone tables at the masala grill. Jashn is very beautifully decorated with a fusion of authentic Indian touch and Mughal Feel. Their specialty is exclusive choice of Kebab served with Indian Breads. Don’t forget to try their Dhuvandaar Kebab and Dal Bharuchi, The masala Rolls and the sweet apple pickle. In desserts Matka Kulfi and Anjeer ka Muzzaffar is a must try. An awesome ambiance of this restaurant will amaze you, a cave like environment with flaming torches will increase your expectation, and their food will exceed your expectation for sure. Sikandari raan and Mutton Biryani you must not miss. Beside them there are many vegetarian option also.. Various types of chutney and dips, chilly garlic, mint are unique. The food here is basically North Indian and Lucknowi. Their menu card is another attractive thing like their ambiance. Their menu have many information from History and their menus are arranged in historical order. Must try here is Tundewali Galouti Kebabs, the Lamb Nali Potli Masala and the Paneer Kothmiri accompanied by the Ulta Tawa. There are many seafood items in the menu also. Ajwani Tukde and Machchi Rubaiyat were two specialties from the sea food menu. For those who loves the Dhaba style environment having cots, Movie posters and paanwala just like original Dhaba culture in Delhi/ Punjab. Menus are also contains pure punjabi items like Punjabi Murga, Sarson Ka Saag, Fish Amritsari and variety of Tawa and Tandoor. And don’t forget to have the Lassi and Hot Jalebi. Those are famous from their menu and also in Punjab. 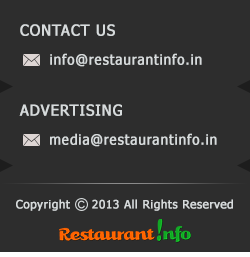 This restaurant is one of those restaurants who started serving Authentic North-Indian cuisine in Bangalore. It is a very good place to organize a Family get together or romantic candle light dinner. Some Awadhi flavour like Dal Makhni, Bhindi Amcoorwali, Butter Chicken as well as some north indian item like Raan, Kebabs, Achcari Ghost can’t be missed out from their list. The restaurant is designed as a 19th century railway carriage. Within a shopping mall like Forum Mall, when you enter into the restaurant The transition will give you a sudden change in mood. The foods are also in the name of Indian Historical Cities like Lahori Kebabas, Nizami Paneer, Railway Mutton Curry. The foods are rich a bit. So better to have the starters. Tijori is a Indian restaurant of Atria Hotel, which is situated in a very beautiful and quite place. This restaurant has a very good Rajasthani look and feel and also it’s nice menu with a good selection of Hyderabadi Nawabi, Awadhi and North Indian. The Tawa Paneer, Jaipuri Bhindi and the Paneer Mirch Masala are specially recommended for Veg lovers and Kaliya of baby lamb is a hit with the non-veg lovers. They have justified their name. Kabab Studio serves really delicate Kebabs. Like the Barbeque Nation You will be served the ready Kebabs on the sigris placed in the table. A huge range of Veg and Non-Veg kebabs quench the thirst of the taste buds of a food lover. Umerkot is the place where King Akbar was born. So you can expect a great mughal cuisine like the Khansamas were making in royal; kitchens. Gosht Chaanp Narangi, Bhuney Murg ke sooley, Tandoori Ananas is among few of their specialties.Tandoori Ananas is pineapple caramelized in the tandoor and served with ice cream.